Draws 3.1 mL per squeeze. Capacity: 4 mL. Packages of 500. 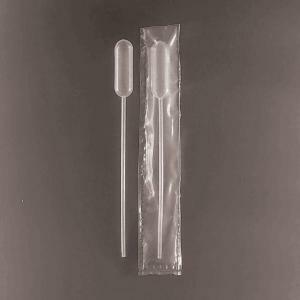 One-piece polyethylene pipets are unbreakable. Sterile pipets are individually wrapped.